If I were to think of the dirtiest (emissions-wise) vehicle I could think of, my first thought would almost certainly be some sort of huge diesel-burning, smokestack-bedecked, smog-spewing monstrosity. However, according to a recent interview that GM’s vice president of propulsion, Dan Nicholson, gave with Green Car Reports, I shouldn’t necessarily include the word “diesel” in that description. 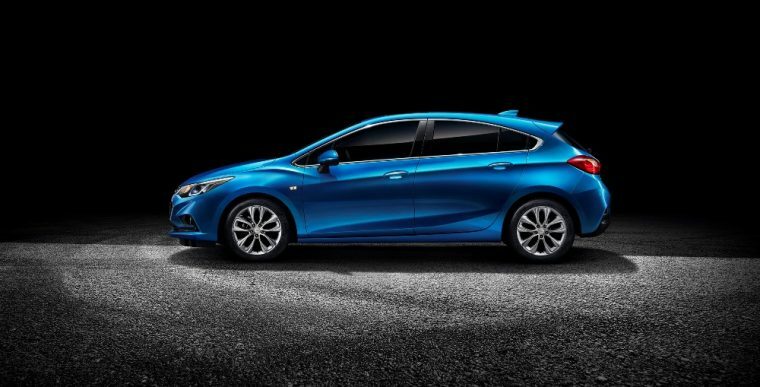 GM is one of the few companies still offering diesel-powered passenger cars in the US following VW’s emissions cheating scandal, in the form of its Chevrolet Cruze, in both sedan and hatchback forms. The Cruze diesel was recently rated by the EPA at 52 mpg on the highway. Nicholson said that the Cruze offers obviously better fuel economy, but also lower carbon emissions than gas engines with comparable power. Of course, since the interview was with Green Car Reports, the question was quickly raised that wouldn’t it be even greener to operate electric vehicles on renewable electric sources. Apparently, Nicholson was expecting that question, as he returned that Chevrolet had two very fine plug-in vehicles (the Bolt and the Volt), but they are not ideal for every buyer, and therefore for those drivers the diesel Cruze could offer higher efficiency and lower emissions while retaining the usefulness of gasoline. I have to admit, that if the Cruze does comply with regulations, then the thought occurs to me that this may be a clean option in areas where much of the electricity is still produced by highly-polluting coal-burning powerplants. We will see if the stain that VW’s emissions cheating can be overcome by GM’s small diesels.